Every day Michael MacCauley (Liam Neeson) took the commuter train to and from work. On the day he was let go from his job, he didn’t change his ritual of riding the train. This is where the leadership lessons from The Commuter begin. That fateful day things changed. Michael was a targeted man. Someone had a plan for him. A sinister plan. The Commuter was filled with a couple of great plot twists you didn’t see coming. Liam Neeson played his role perfectly as did the other cast members. But let’s get into the leadership lessons from The Commuter before I get too far off base. Caution: The Commuter spoilers below. We’ll find a way. We always do. Karen, however, had faith. She believed they would find a way to pay for their son’s college tuition and allow him to go to college. Great leaders have faith. They believe where there’s a will, there’s a way. They are unwavering in this belief. Do you have faith when it comes to the team you’re leading? Do you believe you can get the job done? If doubt creeps in, kick doubt to the curb and look at the possibilities. You may be shocked at what can be done. You learn early in The Commuter Michael had a rough start. His father died when he was young. His family was left with little monetary wealth. And he didn’t want to see other families go through the same pain and struggle he did. This is why Michael became an insurance salesman. He wanted to help ensure families were prepared in case of an unexpected death. Great leaders have a reason behind leading. They know their WHY and they pursue their why with all they have. Find your why. And make sure your why is front and center in all you do. One day Michael is called into the office of the business he worked at. He sat down and was informed he was no longer needed at the insurance agency. He was terminated. There was no warning of his termination. There was just a sit-down chat and a dismissal. His position turned out to be temporary. Hopefully, you won’t be terminated unexpectedly one day. But you have to know your leadership position is temporary. Be a great leader but be ready to leave your leadership position. Take a look at your family. That’s what matters. Alex Murphy (Patrick Wilson) was Michael’s former partner when Michael was a police officer. Alex and Michael meet for a drink at the local bar. This is when Alex tells Michael this great leadership lesson. Your family is important. They’re what matters most. As you’re growing as a leader, as you’re expanding your influence, as you’re being recognized more and more often… Don’t forget your family. They matter. Every day Michael rode the commuter train he also did something else. He was reading a book. He found time to read. I believe he did this for two reasons. The first is to grow closer to his son. His son was reading specific books for school. Michael read the same ones so he could discuss them with his son. The other reason Michael read was that he knew the power of reading. Reading brings you to new places and gives you insights from other people. There’s an old saying: Leaders are readers. That’s because reading is a great way to gain new leadership knowledge. Find great books to read. 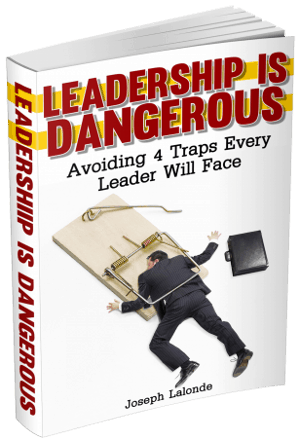 They’re going to be a quick and easy way for you to gain leadership wisdom. The antagonist of The Commuter was Joanna (Vera Farmiga). A beautiful woman who began Michael’s crazy adventure on the train. She asked Michael a simple question: What kind of person are you? I believe this is a question every leader should ask himself on a regular basis. Look deep into your heart and soul and be honest with yourself. Who are you? Why are you leading? What kind of person are you? Finding this answer will make a lot of things clear in your life. Michael was a desperate man when Joanna approached him. His son was going off to college soon. He was given his pink slip. Money was tight in his household. Now a woman approached him with the offer of $25,000 now and another $75,000 when Michael completed a “little” task. Michael chose to take the money. He was desperate. And that desperation changed him. When you’re put in a desperate situation, you have a choice to make. Do you stay true to who you are or do you become a different person? If you know who you are, you will have a firm foundation to stand on. You will be able to resist the temptation to change when the opportunity comes. Be willing to stand firm. Don’t let desperation change you. After the visit from Joanna, Michael went to the bathroom where Joanna had said the money would be. Michael chose to take the money. This began a series of events that impacted the lives of many people. However, when Michael took the money, he believed no one was watching. He thought he could take the money and be done. This wasn’t the case. At one of the commuter trains stops, a young African American woman approaches Michael and asks him if he’s doing it. She hands Michael an envelope with Michael’s wife’s ring enclosed. The young woman then tells Michael people are watching. People look to leaders to be consistent. They’re watching them on the job and off the job. They want to know they have a leader who they can believe in. Be consistent in your work and personal life. They’re intertwined and people are watching to see if you are who you say you are. We all suffer the burden of choice. There was a man who rode the commuter train every day with Michael. He was an older gentleman and someone Michael trusted. While Joanna had warned Michael not to tell anyone about what was happening on the train, Michael wrote a note in a newspaper and handed it to this gentleman. This was a mistake. Joanna had someone push Michael’s friend in front of a bus after exiting the train. This man paid the price for Michael’s choice. You may believe your choices don’t have much impact. The truth is your choices impact the lives of those you lead. And those choices, you have to suffer the burden of the bad choices you make. Michael was tasked with finding a person who went by the name Prin before the end of the line. With the name of the last train stop, Michael looks at the schedule to see what zone the stop was in. The stop was in Zone 7. This knowledge allowed Michael to look at the day commuter tickets on the back of the train seats. Those traveling to Zone 7 had the zone punched on their ticket. He was able to go from train car to train car and observe the tickets. He was looking for Zone 7 punches and began to assess each of the unknown passengers. His observation skills kicked in. As a leader, you will have to be observant. You’ll have to observe your team members and learn who they are and what motivates them. You’ll have to observe the business and figure out the best way to run things. And you’ll have to observe your customers and decide what they need and desire. I’ve already mentioned Michael’s friend was pushed in front of a bus. His friend suffered the consequences of Michael’s actions. Leaders make choices and take action on a regular basis. Sometimes, leaders may believe their actions only impact the decision maker. This isn’t true. Your decisions and actions have a rippling effect. They reach out to those who had no part in your actions. Know your actions and choices will impact those you lead. Be ready to accept the responsibility for those consequences. Michael began to act erratically as he searched for the person named Prin. He wandered up and down the train cars, asked questions of complete strangers, and brought a lot of attention to himself. This attention raised alarms with the other train passengers. One of the passengers notified the authorities and diverted police attention away from Michael’s family. The attention he gained put his family in danger. It also put him in danger as the police officers began to search the train for him and he had to hastily hide in a maintenance compartment under the floor of the train. You may think getting more and more attention will be great for your leadership. You’re going to become well known and people are going to follow you because of the attention you’ve garnered. Beware though. Attention also brings out the possibility of danger. The more attention you get, the more scrutiny you’ll be under. As Michael tucked himself into the maintenance compartment of the train, one of the police officers stepped the compartment door and locked it. Michael was now trapped in the compartment with only one option: Roll out from under the train. This was a dangerous position to be in. The train was moving and the wheels of the train would kill him if he didn’t time his roll perfectly. Be cautious as you lead. Know you need to be aware of your timing when you make major announcements or change course. You’ve proven yourself capable. Figure it out. As Michael and Joanna were playing a game of cat and mouse, Joanna saw Michael was capable. He didn’t need his hand held. He would be able to figure out the mission on his own. You may be tempted to hold the hand of your team members. You may believe they can’t figure out their job if you’re not beside them. Remember, you hired your team. You hired them because they were capable. You can let them do their job. Through Michael’s adventure in The Commuter, he wasn’t given a lot of information to go on. He was told the person he was looking for was named Prin. He was told they carried a bag. And he was told their stop. Three pieces of information and he was to find a person on a commuter train with multiple people on it. Like Michael, you won’t always have a lot of information to make your decisions with. However, you may be given just enough to find a solution and make the right decision. Know you will have to make decisions with less than the desired amount of information. You can make a good choice even with the lack of information. No matter how much they pay, you end up owing more. Oliver (Kobna Holdbrook-Smith) was one of the people Michael suspected of being Prin. However, Oliver turned out to be an assassin in the employ of Joanna. Oliver said a profound quote in The Commuter. His quote about being paid and still owing really struck me. You make a choice to work for someone. They pay you for a job well done. And if the people you’re working for aren’t honest, you may end up owing more. Be careful of who accept work from. You may end up owing more in the end. The brakes on the train had been sabotaged. Michael and the train conductors had only a matter of minutes before the train would derail. They had to make their minutes count. Action had to be taken or else the passengers would all die a horrendous death in a train derailment. You and I only have so many minutes in the day. One thousand, four hundred, and forty minutes to be exact. Each of those 1,440 minutes is gone once they pass. Make your minutes count. Do something worthy with your leadership position. Michael and a train conductor were able to free the back train car from the rest of the train. While they still derailed, this saved the passengers in the car. Yet these passengers were not safe. There was still danger outside of the car. Michael knew the train passengers could be shot if they exited the car. He forced them to stay inside where it was safe. Great leaders are willing to be firm in order to help their team remain safe. They know the dangers ahead and they are willing to speak up and take action to keep them safe. Be a leader who is willing to ensure the safety of those they lead. While Michael was forcing the passengers to stay on the train, he reassured them of their safety. He told the passengers everything would be okay. They would be able to walk off the train when the danger was gone. Leadership is tough. You are in a position where you receive negative information about the organization or other team members. You know what’s going on when others don’t. However, even when you know times are tough, you can reassure your team. You know what’s happening but you also know what is on the horizon. Be a leader who reassures the team. Give your team the hope of a better tomorrow. Joanna’s proposition to Michael was that her request was a little thing he could do. As you watch The Commuter, you soon realize this “little thing” quickly became a big thing. People lost their lives. Michael and others were injured. Property was damaged. In the end, the little thing became a BIG THING. It’s like that in leadership as well. Little choices snowball into bigger results. Little actions wind up bringing you further away from the goal than you thought. When making choices and taking action, be cautious of where those little things will take you. Discover more leadership lessons from the movies in the Reel Leadership archives. Question: Have you seen The Commuter yet? 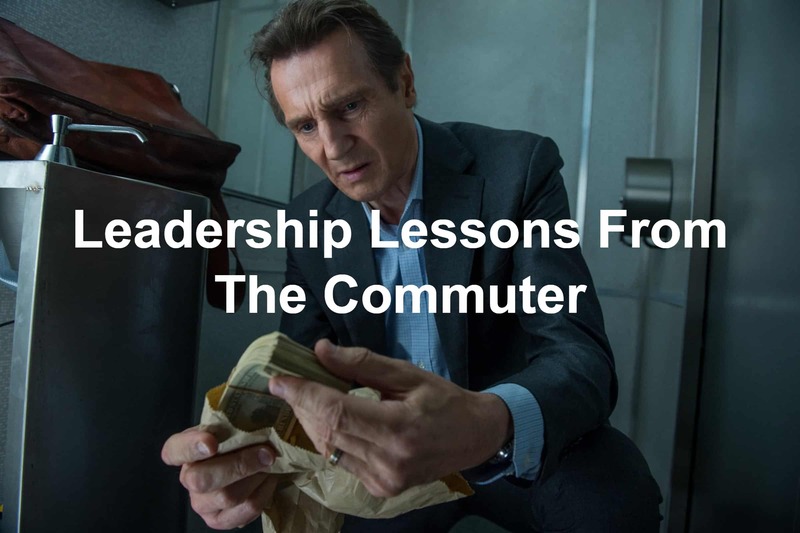 If so, what leadership lessons from The Commuter did you find? If you haven’t watched The Commuter yet, what was your favorite leadership lesson from The Commuter that I shared? Let me know in the comment section below.